Working closely with the owner of this new venture, I was approached initially to design a logo. The proprietor had been working in the sector for a while but had decided that the time was right to add a more professional look to the business. The brief was very open and so I supplied them with over twenty drawings that favorably represented their business, working both in the public and private sectors. Using these sketches we were able to discuss what they liked, and eventually narrowed it down to three designs that they could choose from. After deciding on the final design, I supplied them with multiple versions, for print and the web, as well as designing and printing business cards for them. Doing exhibitions and shows, they were drumming up quite a bit of business, and they were soon looking to take the next step of building a web presence for themselves. Again, since they weren’t sure exactly what they needed, we broke the business down into manageable chunks or components. With these we then constructed a basic site map and then came up with other sub categories and interests that, through their knowledge of their business and their customers, they knew their clients were looking for. 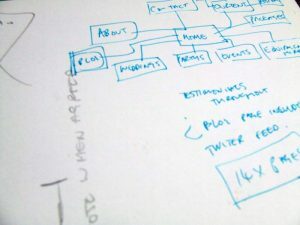 This was then the basis for the navigation and layout of the site. Now came the exciting bit. Using the site map I created a couple of designs, for the client to look at, and over the course of a few meetings refined them until they had a design that they were happy with. This was then developed, using WordPress, into the online site. 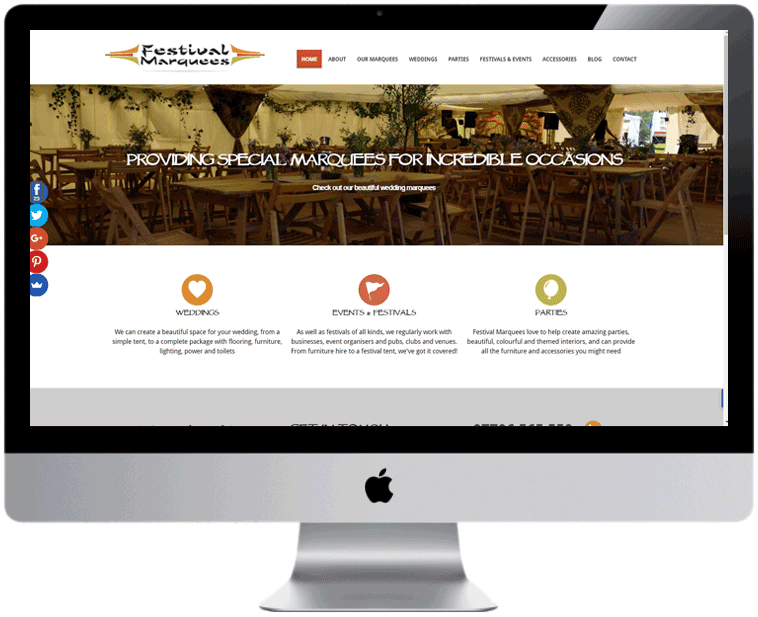 As well as providing Festival Marquees with a website I also advised on using Twitter and Facebook, as well as numerous other social media tools, to help boost their online presence. The finished website was designed to be friendly and easy to navigate by potential clients, ensuring that they could find packages, prices and plans with as few clicks as possible. As can be seen by the amount of logos on the ‘About‘ page the business is now doing quite well, and after a bit of simple SEO is now showing on the first page of Googles search results.